With a highly trained, certified staff and more than 20 years of experience providing disaster clean up in the Atlanta area, Advanced Cleaning and Restoration is the premier mold, water, and fire remediation company in Marietta, Lithia Springs, Douglasville, and throughout the metro region. We’ve been serving the Atlanta area for many years, and our disaster clean up specialists continually undergo training to keep up with the latest techniques. All are certified by The Institute of Inspection, Cleaning, and Restoration Certification, and we have also completed a sewage remediation class. These qualifications are in addition to the extensive in-house training they receive and their years of personal experience in the industry. When you call us for disaster clean up at your Atlanta home or business, you can rest easy knowing that all aspects of the job will be done right. 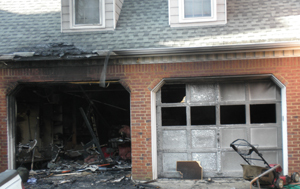 In addition to taking care of the fire and smoke damage and water damage remediation, we communicate with the insurance and mortgage companies, and can even help with processing the necessary forms. Forget about coordinating schedules and trying to navigate the murky world of insurance on your own. Just make one call to Advanced Cleaning and Restoration, and we’ll use our years of experience to handle it all for you. When water, mold or fire damages your home or business, it's imperative to act quickly to maintain the structure’s integrity and prevent additional damage. But, accidents don’t always happen during normal business hours. That’s why Advanced Cleaning and Restoration has a 24-hour emergency clean up crew ready to assess the damage and begin remediation immediately. All our teams are fully equipped to do anything from eliminating pet and smoke odors in furniture to extracting water in the carpet, steam cleaning, HVAC cleaning, and much more. And, we do it using the standard in insurance pricing – not a marked up one that costs you extra money. For more information on our disaster clean up in Atlanta and surrounding communities, contact us today. Internet Marketing by Socius Marketing, Inc.